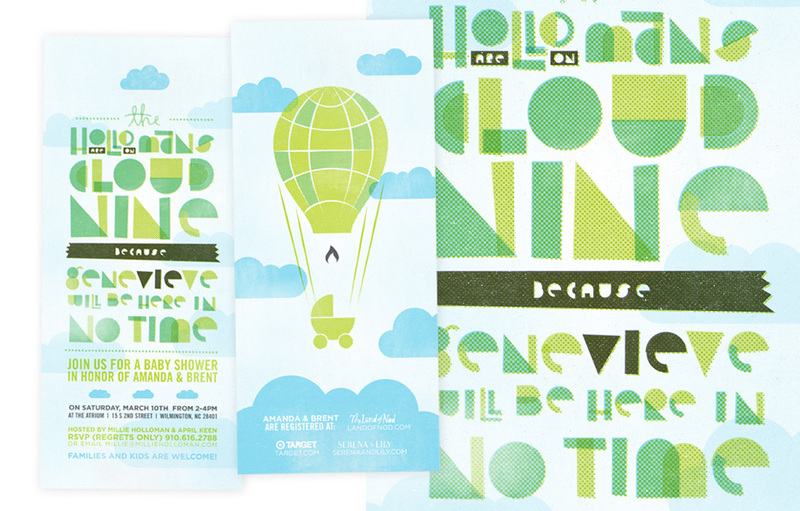 Our “Little Vie” is on her way and here are the invitations I made for our baby shower. 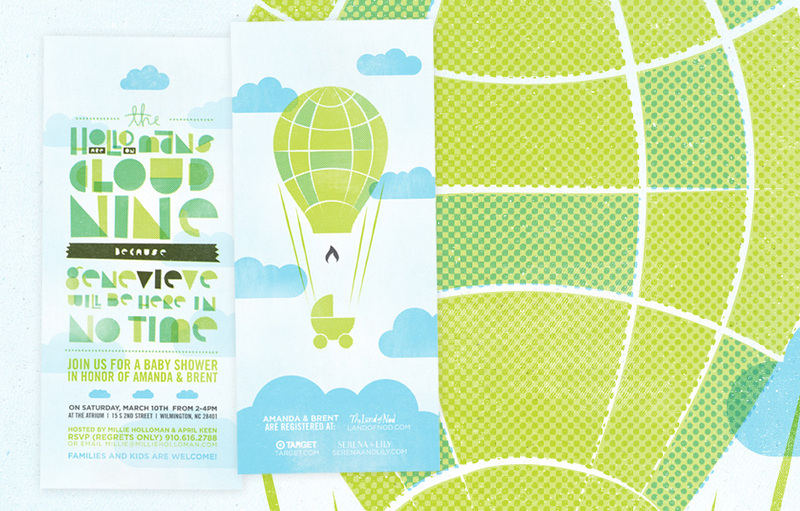 We decided to go with a hot air balloon theme, and I had free reign with the design to do whatever I wanted. On the left are the front and back of the invites and on the right are details of the cards.